Black Friday and Cyber Monday (BFCM) weekend is coming up on November 24th. 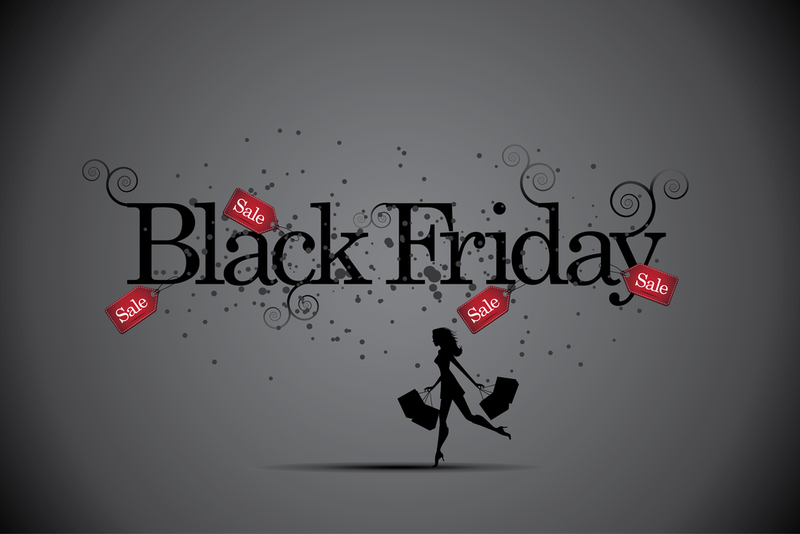 Black Friday Cyber Monday (BFCM) is a tremendous opportunity for your ecommerce business to make money. Consumers spent a record-breaking $3.34 billion on Black Friday last year, online alone. Hopefully you’ve had a chance to install your automatic email marketing and Google Shopping campaigns, as well as install the right apps to optimize your store for conversions during this annual high profile sales event. Distributing your BFCM offers online across various forums, subreddits, deal aggregators, and other sites where people look to for savings. While deals and sales have a year-round appeal, there’s usually a noticeable spike in searches for savings starting in November, which coincides with BFCM and the start of the holiday season. New, free organic sources of traffic and sales. A potential backlink to your site (though the quality varies depending on the forum). The opportunity to get in front of avid shoppers looking to save. That said, here are just some places where you can list your best offers leading up to this Black Friday and Cyber Monday. Reddit’s community is rarely kind towards any obvious attempts at marketing from businesses. But few people will complain about a great deal in the right context. However that context needs to be specific and relevant to the audience. That’s why your best bet when promoting your offers on Reddit will likely be subreddits that are all about saving money and sharing the hottest deals with other people. Alternatively, you can find subreddits that are specific to your niche. For example, if you’re selling t-shirts about corgis, then consider sharing your BFCM discounts in r/corgi to reach corgi owners and enthusiasts. Keep in mind that you’ll be taken more seriously on Reddit if you’re posting from an account with an established history of activity. Being transparent about the fact that you own the business when sharing your offer can also work in your favor. With roughly 243 million monthly visitors organized into nearly every interest group imaginable, chances are you can find a subreddit full of the exact kind of people who might appreciate your Black Friday and Cyber Monday offers. Many people flock to deal websites for all the hottest opportunities to save. So it stands to reason that you’ll want to have a presence there this time of year. RetailMeNot is a popular online destination for coupon codes, deals and Black Friday sales. Unlike other deal aggregators that mostly partner with larger retailers, this one houses merchants of all sizes. PromosPro is another place you can submit your offer to get it in front of shoppers who are on the lookout for the freshest coupon codes. Submit your store along with your offer, and it’ll be up pending approval. Deal sites and communities that “crowdsource” the best offers from consumers present a great opportunity to get your deals out there, whether it’s an offer for free shipping or “Buy One, Get One Free”. Be mindful that many of these sites will only list your offer pending a review, so be sure you meet their criteria before you submit as some require that your store is a part of an affiliate network. Facebook is a social network that’s done a good job of organizing itself into smaller niche communities or “Groups” around specific interests—even sales and BFCM deals. Find the right Groups and there’s an opportunity to engage hundreds of people with a post about your offer. Whether it’s a closed or public Group (public groups tend to invite spam, which can dilute the value for its members if it isn’t moderated properly). How many members there are and how engaged they are (look at Likes/Comments across recent posts). How relevant your store is to the interests/language/location of members of the Group. Guidelines for posting offers, particularly about how promotional posts are moderated. Searching Facebook Groups for “Black Friday deals” and “Cyber Monday deals” is a good place to start, but also consider vertical-based searches (such as “fashion deals“) to find opportunities that work best for your offer and the products you’re selling. Smart consumers, before buying anything online, do a quick Google search for discount codes they might not know about. Honey is essentially a Chrome extension that aggregates discount codes for online shoppers, giving them access to available codes so they don’t have to hunt for them. Create an account, and submit your discount code along with your store, and pending approval, your store and offer will be in their database. You can reach to get on the platform here. There’s no shortage of forums out there where people share coupon codes and deals. Like Reddit, forums offer a chance to not just drive traffic to your store with little effort, but also create a discussion around your offering and solicit feedback. With any kind of forum, you should check the rules and guidelines to get a sense of what kind of posting behavior is allowed. For example, some forums will frown on using a link shortener to track the number of clicks and attribute the traffic you get from a post. You should also consider what types of products and deals gain the most traction when scoping out a potential forum. Since many forums showcase the number of views next to each post, it can be a good indicator of how much potential there is for you to get eyeballs on your own deals. Slick Deals Black Friday Forum: Offers posted in The Black Friday Forum and Deal Talk section can get anywhere from a thousand to hundreds of thousands of views. GottaDeal: An online forum with a Black Friday section that includes a general discussion, store-specific discussion and posted ads. RedFlagDeals: A large online forum for Canadian shoppers. Not every marketing tactic needs to involve social media or paid ads. Sometimes a simple strategy like distributing your offer in relevant places (without being overly spammy) can earn you some easy sales. Not every link is going to generate traffic or sales, but the ones that do make for great learning for when you promote your next irresistible offer. You need a strong offer in the first place for this tactic to work, but with a great discount and a bit of effort, you can create new sources of organic traffic for your store and get some additional visibility for your offers. Thanks, I’ve just been searching for info about this for a while and yours is the best I have discovered. I’ve learnt some good stuff here. Certainly worth bookmarking for revisiting. I appreciate the effort you must make to offer this level of fantastically informative web site. Great post. I gained much from your suggestion.